Ceremony Location Garden, Outdoor Patio and Grand Ballroom. 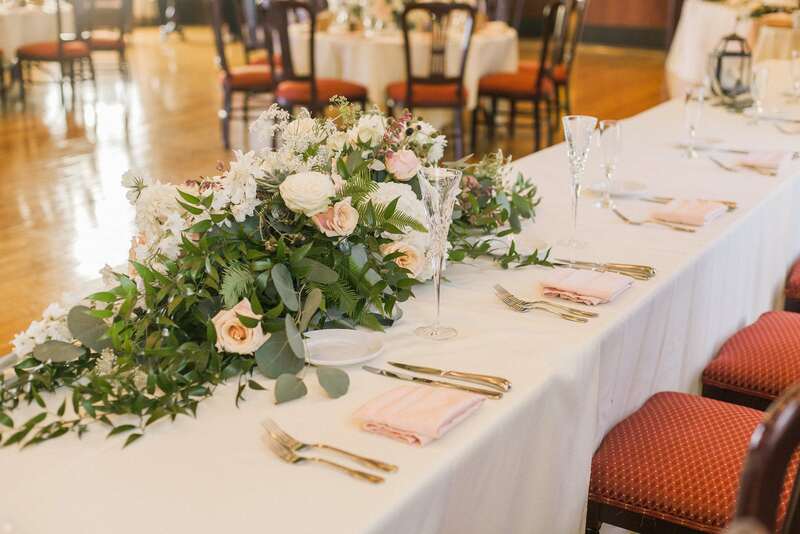 Rentals Included White garden chairs, set-up, break-down, tables, linens and napkins. Paso Robles Inn is a very inclusive Central Coast venue. 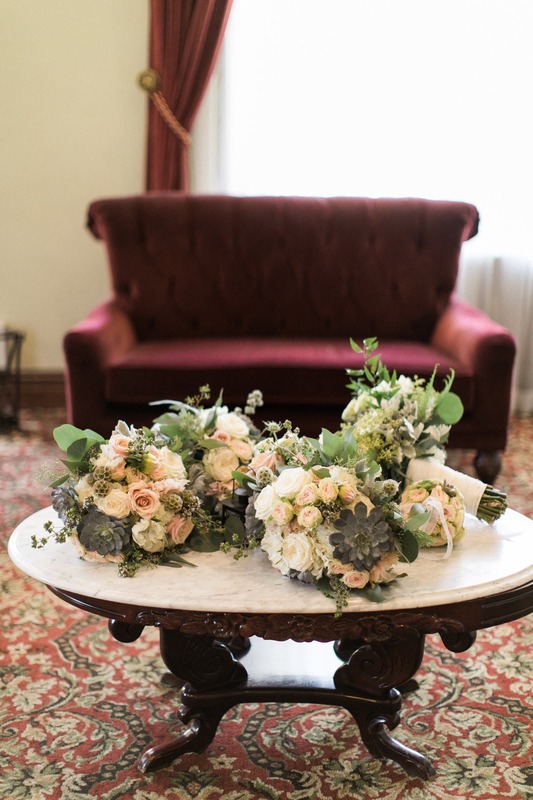 Surrounded by majestic oak trees, flowers, and a babbling brook, this stunning brick hotel was opened in 1861 and the charm of its historic look is only surpassed by the countless amenities the inn offers. 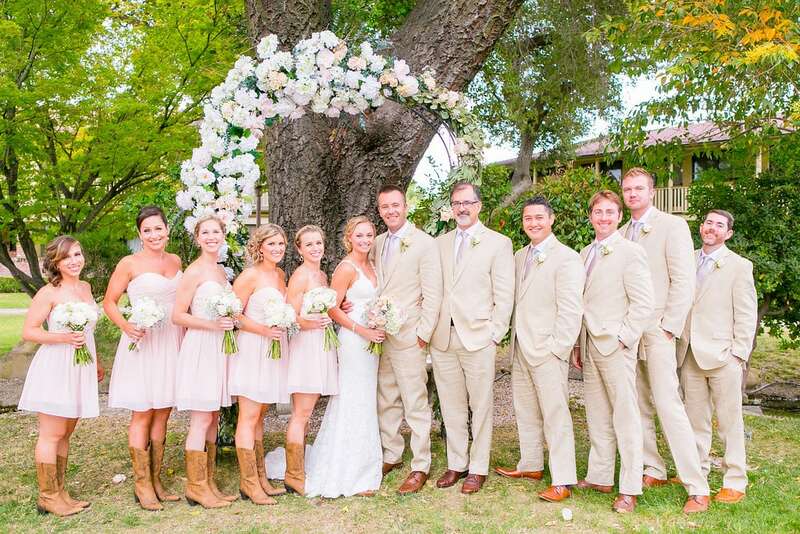 The experienced staff of Paso Robles Inn are willing to go above an beyond to give each bride exactly what she wants from her special day. 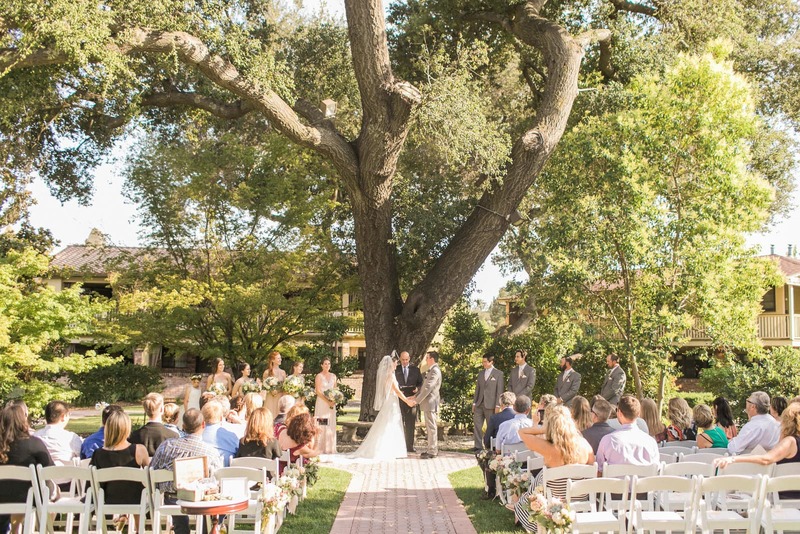 Brides can choose to have their receptions either on the outdoor patio underneath beautiful oak trees or in the inn’s Grand Ballroom. The gorgeous ballroom still has its original hardwood floors that were installed in 1861 and high beam ceilings with original light fixtures. 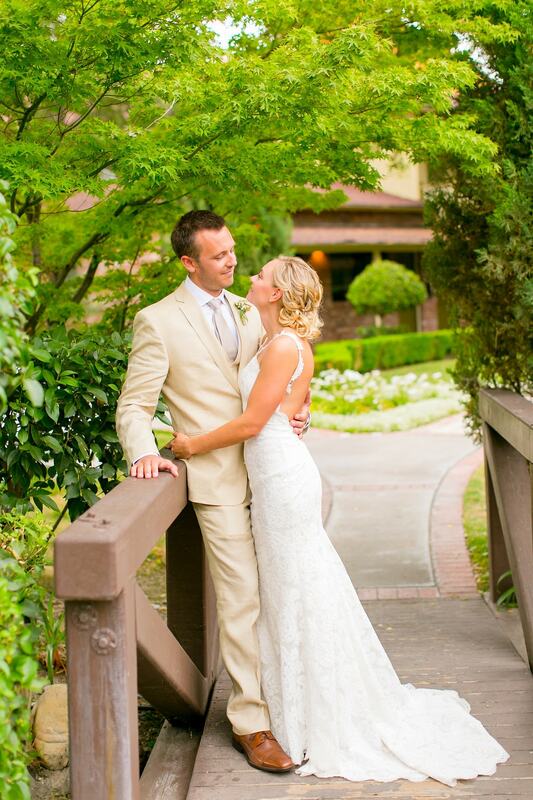 If you’re looking for historic elegance, look no further than Paso Robles Inn!